The article deals with the problem of fair co-financing of socio-ecological and economic projects of a region, which is topical for the northern regions of Russia. At the same time, we solve the task of forming an optimal set of projects based on the fair sharing depending on the interest of business, state and society in the project implementation. In the process of analyzing the attractiveness of socio-environmental and economic development projects in a region, we have developed a scheme for solving this task. At the first stage, we recommend an expert assessment using the fuzzy scales developed by the authors. These scales allow to make a lexical assessment of the priority of criteria for assessing the development of a region and the degree to which the projects meet these criteria. In the second stage of calculations, the obtained expert assessments make it possible to determine a fair sharing in project financing. 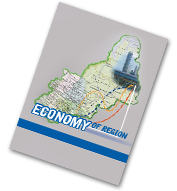 These shared assessments and project priorities allow developing a model of an optimal set of projects for the development of a region, taking into account the allocated financial resources. The system of expert assessments and models is implemented in the Excel-VBA program. This system has been applied to solve the problem of selecting social, environmental and economic development projects in the Russian Arctic regions.